Congratulations to our Ducks for a Fantastic Season. We are so proud of our Ducks. It’s been a fantastic season. And if you are wondering, yes, we had the blanket designed and the loom threaded in yellow and green. It would have been a wonderful moment to hit that switch and run those blankets, but there’s always next season. As you know, we are a family owned and operated concern, with that family being the Bishops. 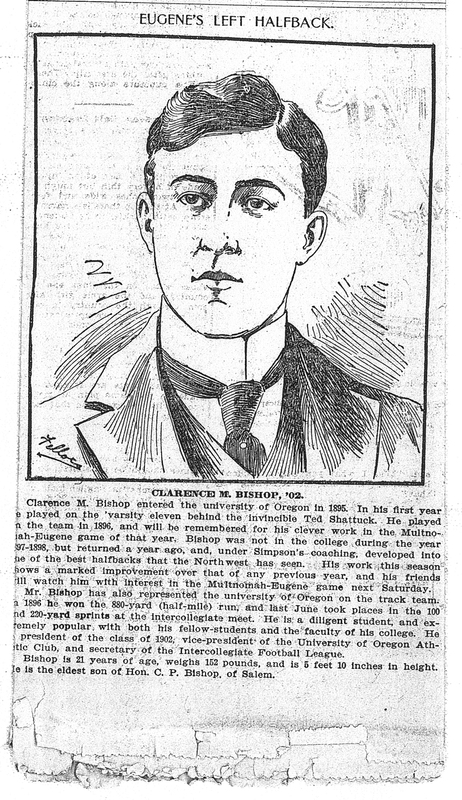 The Bishop family goes way back with University of Oregon football. In 1894, the University of Oregon’s first football team took the field. They were known as the Webfoots back then, after a group of Massachusetts fishermen who played heroic roles in the American Revolutionary War. The U of O Webfoots didn’t score a touchdown that first season, but Oregonians are tough. They came back ready to play in 1895. Below is a team photo of the 1895 team (the ball is proudly emblazoned with that player’s upcoming year of graduation). 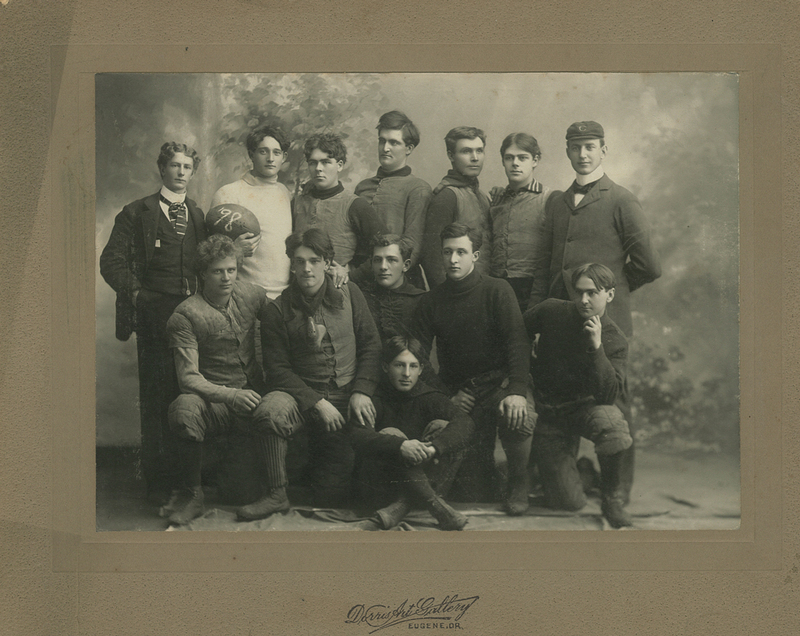 In both photos, he is second from the right in the lower row, wearing a turtleneck and one of the less outrageous haircuts sported by the players, is young Clarence Morton Bishop. And wouldn’t you know it, he is credited with making the first touchdown in the school’s collegiate football games in 1895. Below is another archival item on the football career of “the first Mort” as he is referred to around here. Click for a larger view.